As temperatures rise, so does our dependence on air conditioners and fans. While air conditioners and fans are essential for staying cool and comfortable in summer, there are also many potential hazards to be aware of. You may be surprised to find out how many home fires are caused by air conditioning and fan equipment. 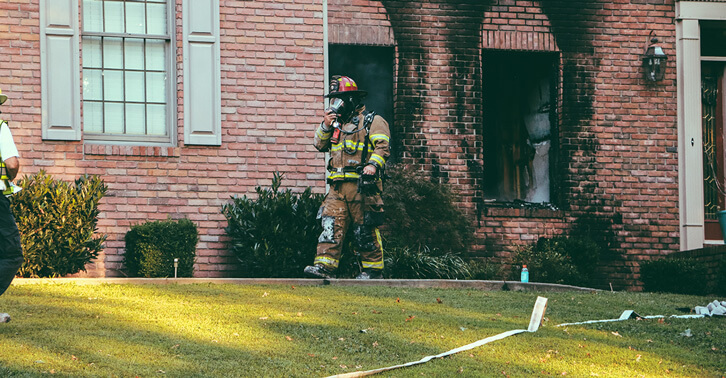 During 2011-2015, fans or air conditioners were involved in an estimated annual average of 7,800 reported home structure fires, 40 home fire deaths, 280 home fire injuries, and $196 million in direct property damage. In 2015, fans or air conditioners were involved in an estimated 8,700 home fires. These fires caused 30 civilian deaths, 250 civilian injuries, and $186 million in direct property damage. In 2011, an estimated 40,890 injuries were reported to hospital emergency rooms as involving air conditioners, fans, humidifiers, dehumidifiers, air purifiers, and heat pumps. The leading types of injuries were laceration (14,620), contusion or abrasion (6,740), and strain or sprain (6,050). Normally, air conditioner and fan fires occur due to a mechanical or electrical failure. About one third of fires involving air conditioning or fan equipment began with ignition of wire or cable insulation. For more information, read the full NFPA report, Home Fires Involving Air Conditioning or Related Equipment. Luckily, air conditioning and fan fires can be prevented with the proper maintenance. Always hire a qualified, licensed HVAC technician to install and service any heating, ventilation, or air conditioning equipment. Make sure any HVAC equipment has been tested by an independent, nationally recognized testing laboratory. Do not store anything near your indoor air handler unit. There should be a minimum 3-foot clearance around the unit. Make sure all of your supply and return vents are unblocked. Check behind furniture and drapes. Teach children to stay far away from your indoor and outdoor air conditioning units. While the units are protected by covers, it can be very dangerous and damaging if anyone tries to stick anything through the grills. Keep the access panels and covers on at all times. This applies to your indoor air handler, outdoor condenser unit, as well as the thermostat. Inspect and maintain AC equipment regularly, ideally before you start using it full-time. 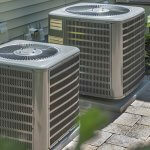 Air conditioning units need to be properly maintained by a professional. The best thing you can do to keep your air conditioner working safely and efficiently is by scheduling annual air conditioning maintenance every spring. Professional HVAC technicians will be able to inspect your cooling system for safety issues that could result in a fire. In addition to preventing electrical problems, your certified HVAC technician will also clean your system and make sure there are no carbon monoxide or refrigerant leaks. Click here for our full HVAC Maintenance Checklist. Consider signing up for a Home Maintenance Plan so you never forget his important home maintenance task. Changing your air filter every 30-60 days. Learning additional DIY AC maintenance. When selecting equipment, make sure it is rated for the size of the space you want to cool. Make sure the unit has been tested by a recognized, independent testing laboratory. 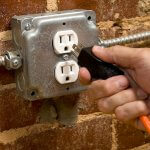 Do not plug your air conditioner into an extension cord or power strip. Your window unit should have its own dedicated outlet. Never position window units near water or where water is likely to be spilled. Clean or replace AC filters according to manufacturer instructions. Periodically inspect cords for damage, fraying, loose connections, and broken plugs. If you notice any damage, turn the unit off, unplug it, and replace the damage equipment. Make sure the window and window frame are secure and in good condition. Never attempt to install a window AC unit on your own. If possible, have a professional install your window unit. Follow manufacturer instructions carefully when installing the window unit. There should be metal brackets, mounting rails, or some sort of firm support system. If the unit does not fit properly, do not try to jerry-rig it with additional materials, such as wooden blocks. Never put anything on top of the window unit, such as flower pots or bird feeders. It’s a good idea to tilt the unit slightly for drainage, but make sure it’s not a steep angle. Do not use window units in windows that serve as a fire escape. It may seem obvious, but do not allow any pets or children to drink the water that drips from the back of the window air conditioner. Make sure the unit is off before pulling the plug from the socket. As with installation, never attempt to remove a window unit by yourself. Working alone is never recommended. FYI, window AC units cause more fires than central units. If you’re still relying on window units, speak with a professional HVAC technician about making the switch. 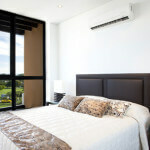 If you have any doubts about installing window air conditioning units, contact the professionals at Service Champions. Only purchase fans that have been tested by a recognized, independent testing laboratory. Check for product recalls at cpsc.gov. Follow manufacturer instructions when placing or installing fans. If possible, hire a professional to install built-in or stationary fans. Double check that air intakes are not blocked. Keep fans away from water or water may be spilled. Never plug fans into an extension cord. Plug fans directly into outlets with sufficient electrical capacity. Periodically inspect cords for damage, fraying, broken plugs, and loose connections. Replace any damaged equipment before use. Carbon monoxide is a colorless and odorless gas that can kill you. Make sure you have smoke and CO detectors installed on every level of the home. Check the batteries every month and replace any units that are 10 years old or older. Learn more CO and smoke detector safety tips. Gain peace of mind and energy savings by contacting Service Champions for one of our HVAC Club Memberships. Hopefully, these air conditioning and fan safety tips will keep you safe. For additional HVAC safety tips, read our HVAC Electrical Safety Checklist. On vs Auto: Do You Know Which Thermostat Setting Costs More to Use?